Hibba Toys are proud that Prince George will be storing his toys in the Hibba Classic traditional hand crafted toy box. Give your child the ultimate gift that will be treasured for life. Simply the "BEST OF BRITISH"
This is a totally unique and superb hand constructed and finished wooden toy box. The Hibba classic toy box is our flagship product and is manufactured by us in the UK. SELLING SUCCESSFULLY IN THE UK FOR OVER 20 YEARS. Very high quality toy box featuring "TOYS" ON THE FRONT OF THE BOX. Our toyboxes are made to order, meaning that a carpenter will physically hand-craft each model and assemble it with the care you would expect from a quality product. Our Toyboxes have all been specifically designed to be out of the ordinary and are deisgned to be treasured for years. 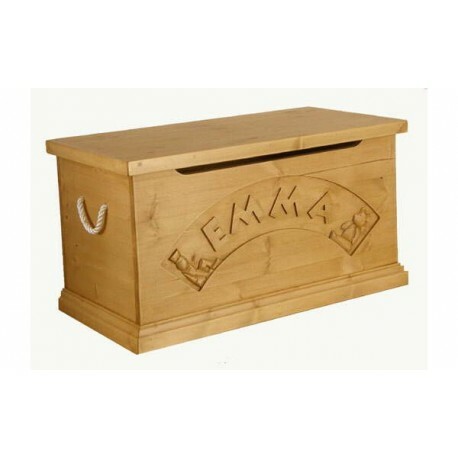 The HIibba Classic pine toy box is a quality product hand-crafted from solid wood. 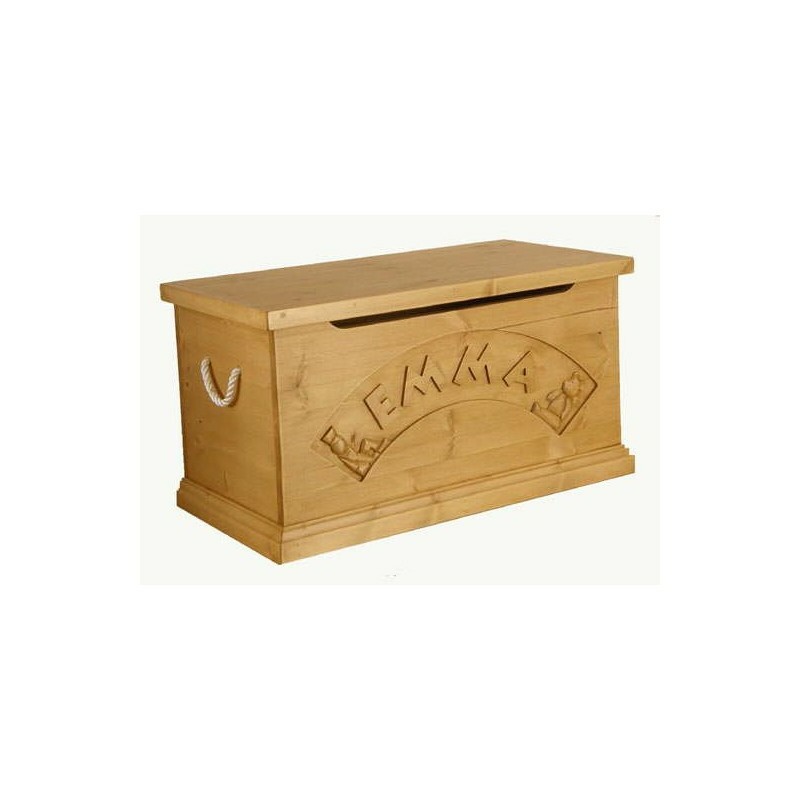 This unique traditional toy box offers fine quality, individuality and style. This high quality toy box is hand-crafted in the UK by our highly skilled cabinet makers using timbers grown in sustainable forests. The toy box features rope handles, hand carved teddy and soldier, has a slow closing mechanism and is finished in an antique wax. This toy box will also look good as a piece of traditional furniture in the home. PLEASE NOTE THIS ITEM IS A PIECE OF FURNITURE AND SHOULD NOT BE USED AS A TOY. Delivered fully assembled by prior appointment with you by our specialist furniture courier. This item is made to order - PLEASE ALLOW UP TO 4 WEEKS FOR DELIVERY. IF YOU REQUIRE THIS BOX EARLIER PLEASE CONTACT US AS WE MAY BE ABLE TO SUPPLY THIS SOONER.